As the first of a blog series on common symbols for kundalini that occur in dreams I will begin with the snake. 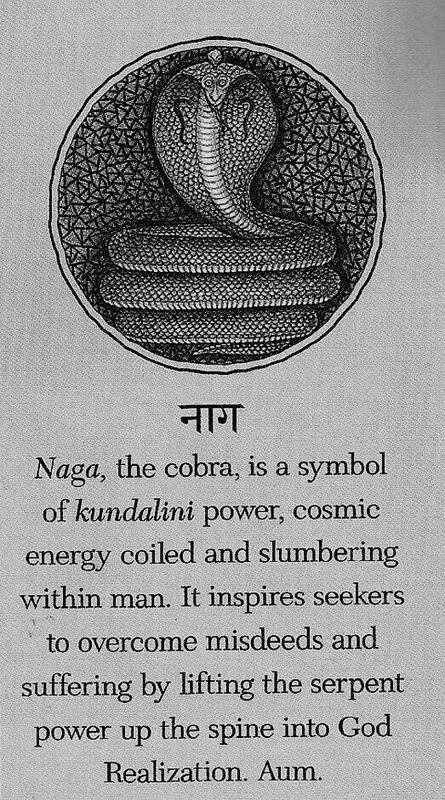 Perhaps it is one of the most popular symbols for kundalini because the Hindus have often portrayed the energy as a snake that uncoils and rises up. The snake’s movement symbolizes kundalini energy as it uncoils and rises up the spine to do its work in the body. When I had my blissful kundalini awakening in June of 2009, (not to be confused the powerful kundalini energy release I underwent in 2007), I experienced this uncanny sensation. I felt a building energy at the base of my spine and then a unique uncoiling sensation that was followed by a burst of energy igniting my first, second and third chakras. It seemed that every cell from my knees to upper abdomen was radiating pure ecstatic joy. With my mind’s eye, I saw glorious tones of red, orange and yellow extend several feet from out of my body. For a long while after, I reveled in a profound blissful state. Perhaps because the snake has been so long associated with kundalini and its healing properties, and because the snake’s venom can heal certain conditions, the snake has long been a symbol for healing. 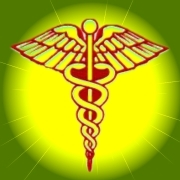 Everyone is familiar with the ancient symbol for the medical profession, the caduceus, a rod with a snake or two wrapped around it. Since having experienced kundalini I now see myself as the rod surrounded by two healing snakes. This is no accident. In February 2003, I had an emotionally powerful dream of two giant golden snakes wrapped about my middle. Since then, I have come to understand that these two snakes were and are healing the 2nd and 3rd chakras, areas where I have needed healing. I also don’t think it is an accident that I have been gifted with the art of healing others as I have been healed. The caduceus is a symbol for any human who has been enfolded by the healing energy of kundalini and thus can heal others. In your dreams, be particularly aware if snakes seek you out and wrap themselves around you. It may mean kundalini has chosen you. It is important to understand snakes can have many other meanings in dreams so noting the color of the snakes will be an important clue as to whether these snakes might be harbingers of kundalini energy. If the colors are brilliant, glowing and beautiful or are white, a symbol for spirituality, there is a good chance they may represent kundalini energy. For example in 2005 I had a dream of two snakes, a green snakes were approaching me. A month later, I dreamed of two white snakes going to the left and right in front of me. This repetition of dreams featuring a unique symbol such as a snake bears taking notice. It is another sign that something significant is happening. These dreams are telling me to take notice that whatever the snake symbolizes is coming my way. For more information on dreams as they related to healing, please visit my website at http://www.healingdreamgarden.com. Kundalini energy is a phenomenon of the human experience that has probably been around as long as humans have walked the earth. In the Indian sub-continent, peoples have been working with and exploring this energy for thousands of years. In other cultures, it has often gone unrecognized in its own right, and its expression in the soul, mind and body has been misdiagnosed as madness, emotional disorder or disease–even to the present day. The Hindus, who know the most about it from studying it so long, say it is the powerful life force energy latent in all of us that appears in everyone in small degrees to maintain heath and procreation. In some people, it bursts forth with great power, totally transforming the lives of those that experience it, bringing unique gifts. Unfortunately, the power can bring great havoc spiritually, psychologically and physically if a person is not prepared and does not understand what is happening. This series of blogs on kundalini is aimed to help people detect and prepare for kundalini long before the energy shows itself. Dreams are perhaps the best indicators that a kundalini event is forthcoming–often years before the energy will be felt in the dreamer–because dream images symbolize different energies in the body’s energy field. If one knows common symbols for kundalini in dreams, one can be warned and prepared. This will be a real help for meeting the profound changes to come. It is only one great benefit that ongoing dreamwork provides. Another is getting to recognize your personal symbols for the energies operating and influencing your mind, body and spirit. Should you be destined for a kundalini event in your life, you can find that your dreams will forecast this in symbols that both are common to others for this event and symbols that are unique to yourself. At the present, it is important to learn the common symbols. In my next blog on kundalini, I will write about the common symbols for kundalini that appear in dreams. For further information on dreams as they relate to health and healing, please see my website: http://www.healingdreamgarden.com. Soon, a new topic to this blog will be added: Exploring Kundalini Through Dreams. Kundalini is healing energy and what better way to visualize it than in dreams? Stay tuned for posts in this new section. I will continue to post blogs on other facets of dreams and intuition. In the meantime, please visit my website at http://www. healingdreamgarden.com for user manuals on intentional dreamwork and intuitive meditation for healing and spiritual growth.